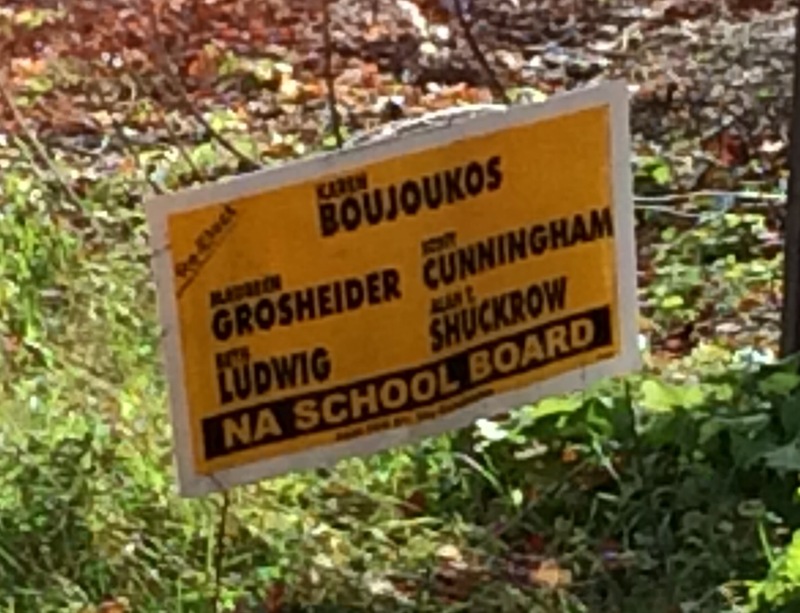 In a local election, every vote counts. Please take the time and vote today. The polls are open from 7am to 8pm. Your vote can make all the difference! Vote Today to keep NA moving forward! 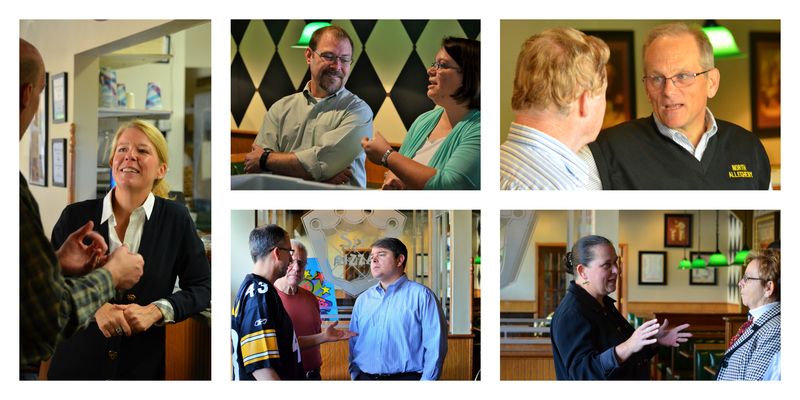 Thank you to everyone who attended our Meet the Candidates event on Sunday. 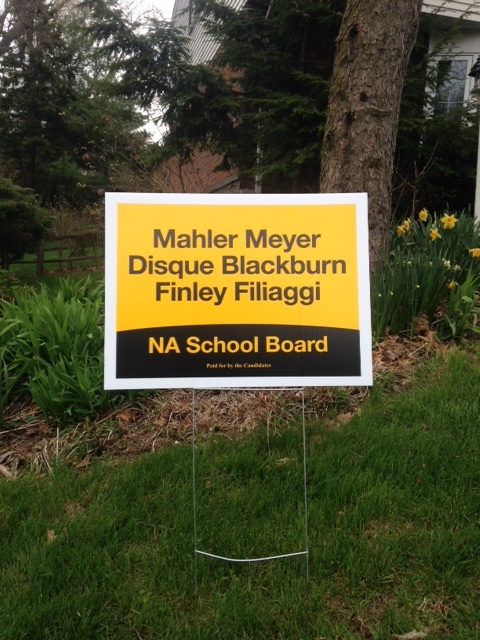 We look forward to seeing you at the polls on Tuesday! From 2009-2012, Maureen Grosheider’s record as Board President was one of consecutive tax increases, higher spending, and larger class sizes. Despite a looming pension crisis, the District lacked a long-term financial plan and failed to establish a reserve fund to defray future pension costs. With no financial plan in place, Grosheider led the Board to raise taxes in 2010, 2011, and 2012. In June 2012, the District’s Business Director told the Board that “Fox Chapel has raised their millage each year…and put that money into reserve to help offset the pension costs.” After 3 years of tax increases, North Allegheny had no pension reserve fund. 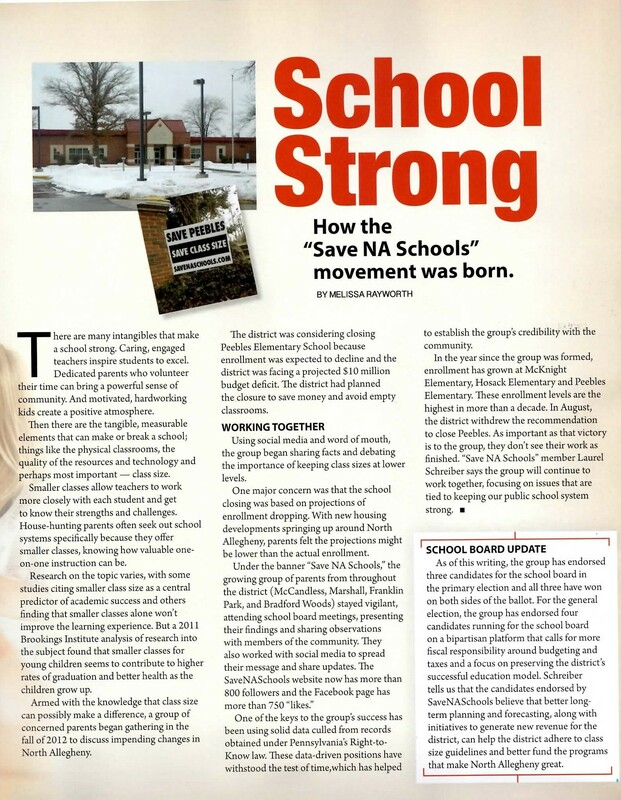 As a result of the District’s financial troubles, NA operated 13 elementary sections above class size guidelines that year. Some elementary classes operated with over 30 students. Despite community outcry around erroneous projections, Grosheider refused to form a community task force. Later, it was discovered that Board Policy #4215 requires a Citizen’s Advisory Committee and that the Board was not compliant with this policy under Grosheider’s leadership. Under the direction of new Board Leadership, a Budget and Finance Committee was formed, an Elementary Class Size Policy was implemented, and the Citizen’s Advisory Committee was re-instated. 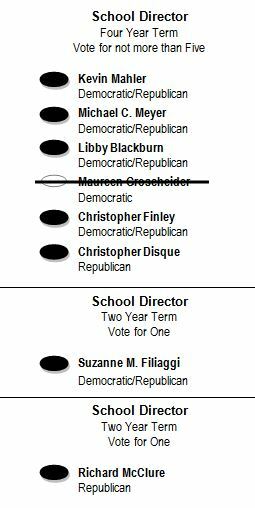 On Nov 3rd, vote for the team of candidates committed to Moving NA Forward—BLACKBURN, DISQUE, FILIAGGI, FINLEY, MAHLER, McCLURE, and MEYER!